Real estate owned property is property owned by the lender – the bank, the mortgage company or government agency – after an unsuccessful sale at a foreclosure auction. Foreclosure auctions don’t always work. Sometimes, in an effort to recoup their losses, the lenders or other agencies set the price higher than actual market will bear, and no bid is high enough to satisfy the lender’s requirements. When the home is ready for sale, the lender will work with a real estate broker to put the property on the market. REOs may be offered at a great price, but they will not be severely undervalued. The lender and the broker will do market analysis of comparable homes in the area before setting a price. If you want to purchase an REO property, your offer will state that you are willing to buy the property “as is” with an escape clause written in that if a home inspection finds extensive property damage or structural issues, you can back out. Usually, you won’t be able to perform an inspection before making an offer. To increase your chances of getting the home, make the offer at or near purchase price, as long as your market research doesn’t indicate the property is significantly overpriced. 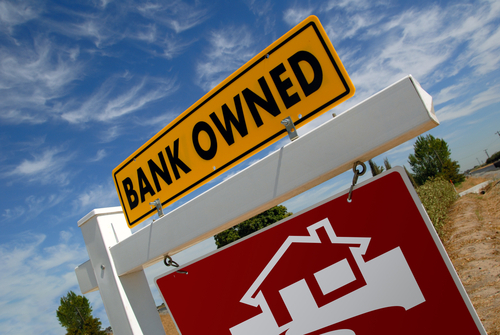 Typically, the lender’s title search only covered the time period that the person who was foreclosed on owned the property. A title search for Front Door Title will go back much farther, typically 60 years. We’ll make sure you have a marketable and insurable title to the property. There is always the possibility of undisclosed fraud, clerical errors and other problems that can surface with the title in the years to come, so we recommend owner’s title insurance to protect you and your property rights and give you peace of mind. And of course, if you’re using a lender to purchase the property, you will have to pay for a lender’s title insurance policy.